There has been quite a bit of coverage on job cuts (except on SPH which has ownself embargoed ownself on its layoffs). PAP MPs have been nagging companies to inform MOM and unions early of retrenchments. On the other hand, netizens criticise that the Tripartite Guidelines on managing excess manpower are simply guidelines, and workers have no protection against retrenchment. We went to Google if opposition parties had mentioned any constructive comments about the recent retrenchments. Here is what we found on Google news. 1. 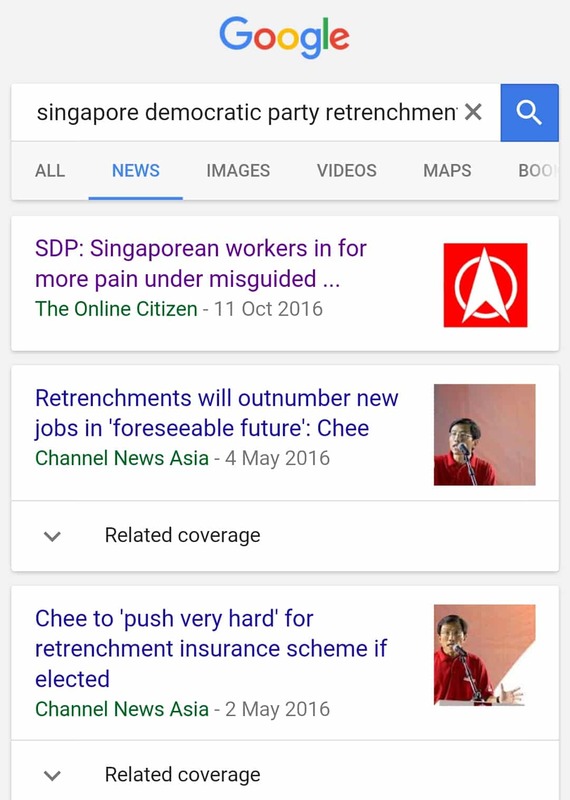 Workers’ Party: what are retrenchment benefits? 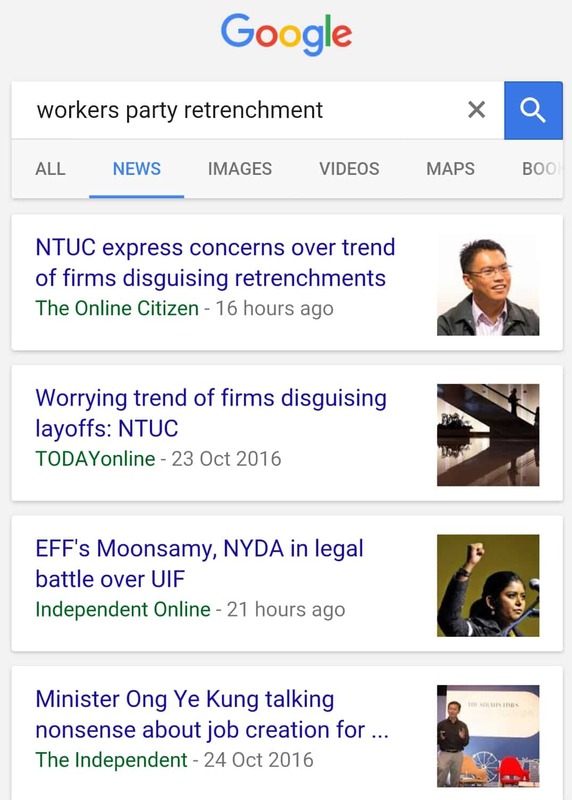 At first we couldn’t find much recent comments by WP MPs on Google news. That NTUC kept on popping up. We tried checking again on the WP website (got it!). According to the WP website above, MP Leon Perera raised questions about retrenchment benefits in the September 2016 Parliamentary Sitting. 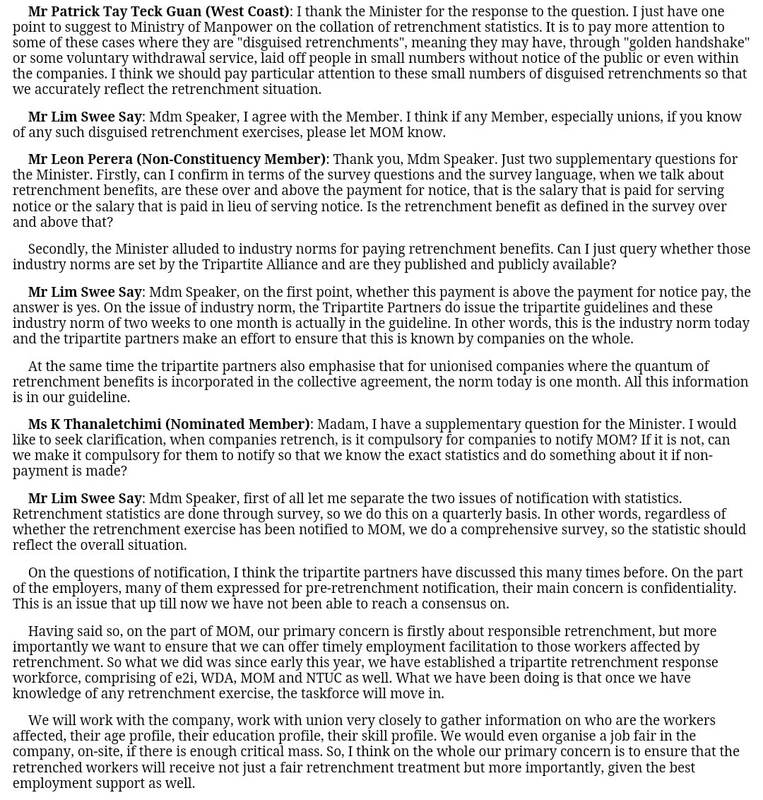 Upon closer examination of the Parliament records above, when NTUC MPs were asking about disguised retrenchments and the government’s stand on irresponsible retrenchments, WP MP Leon Perera chose to ask questions about the definition of retrenchment benefits and industry norms, which can be found on the MOM website. Do more homework on the subject perhaps? 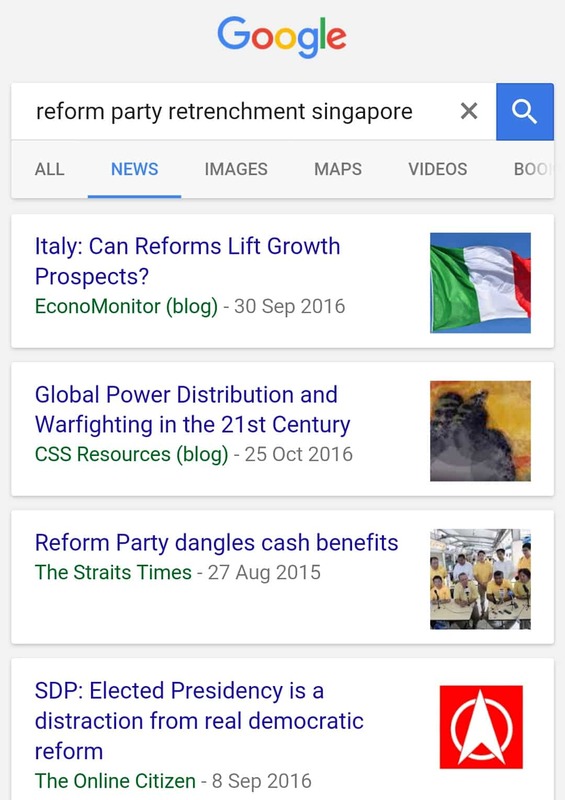 In a recent statement, SDP suggested scrapping Temasek and divesting GLCs, more democracy and implementing a Singaporeans First system.